Deloitte expects double-digit growth in the sales of vinyl records for the seventh consecutive year, passing the $1 billion mark for the first time since the 1980s. The professional services company expects 12-inch records to generate between 15% and 18% of all physical music sales. 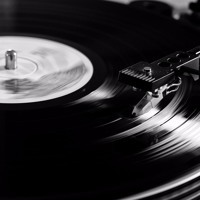 According to the Entertainment Retailers Association, vinyl outsold digital downloads for the first time in December. Consumers bought 3.2 million LPs in 2015 – a 25-year high. John Maytham interviewed Mabu Vinyl’s Stephen Segerman. Musica has a full vinyl section now. New vinyl is a bit pricy. It’s much more expensive to buy a vinyl record than to digitally download an album.